This distinctive house was purchased for its Spanish mission qualities, heavy masonry arches, and timber and wrought iron detailing. 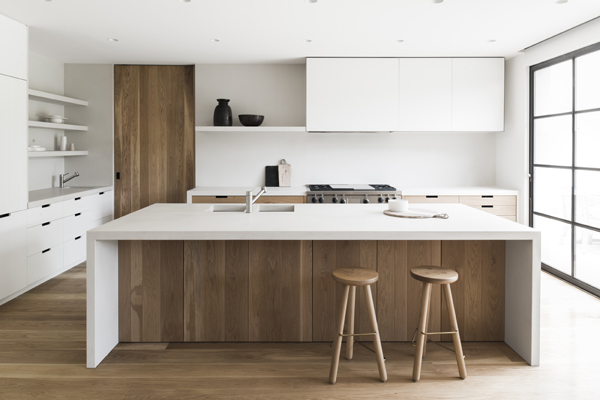 The new owner, a passionate builder and craftsman, with an established relationship with Meme, engaged us to re-plan and update the interior for a more relaxed family lifestyle. 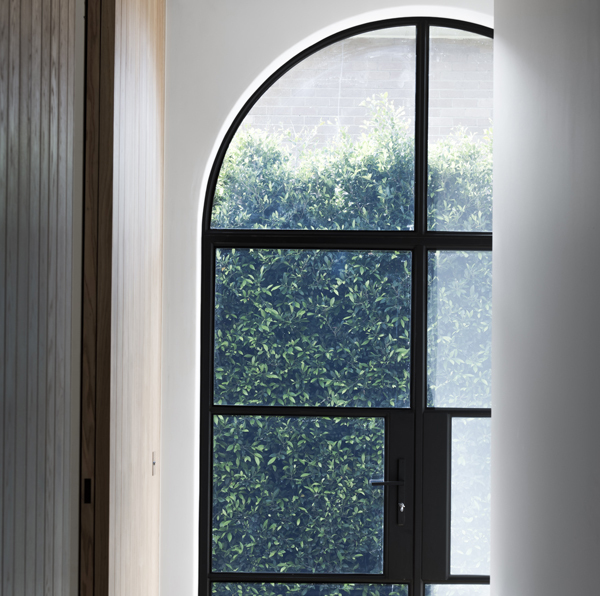 The insertion of new steel-framed windows and doors help to connect, open up rooms and also function to framing views through to the garden. When shut, they enclose the rooms to create warm, intimate spaces. 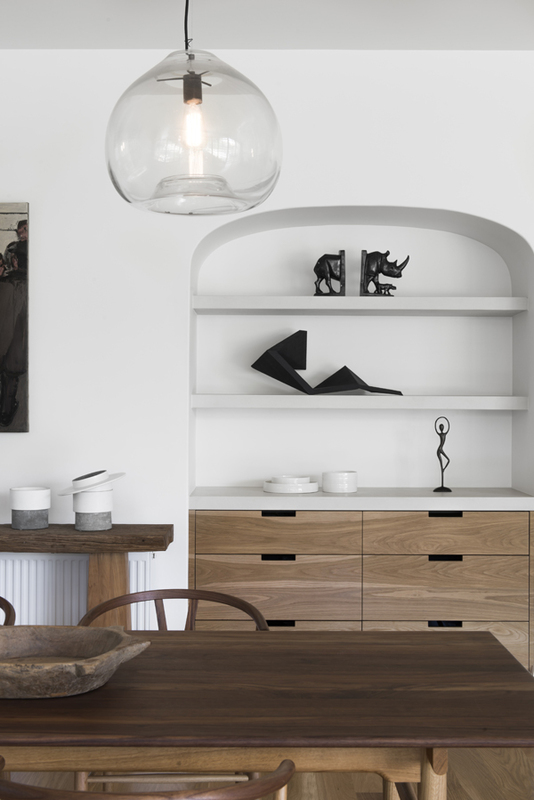 The warmth of the house is amplified through the use of inherent materials; a selection of fine black steel detailing, polished plaster walls, handmade Sicilian clay hexagonal floor and wall tiles. 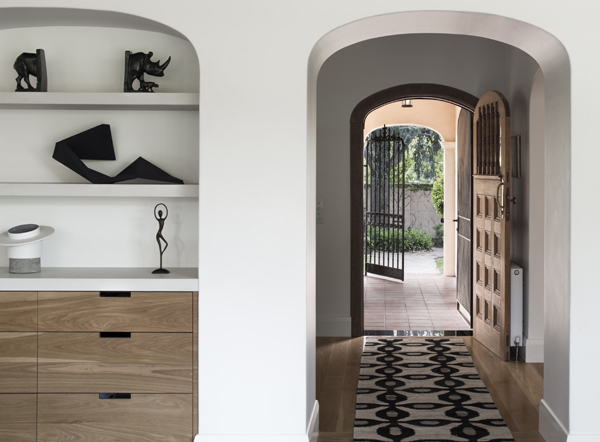 The floor, internal doors and joinery are custom designed and manufactured from solid American oak. Robust and enduring details define the tactile elements of the design and maintain the essence and original character of the house.